Automotive designer and illustrator Tamás Jakus created this epic motorcycle design which looks just like CHAPPiE – if he could turn into a motorcycle, Transformers style. 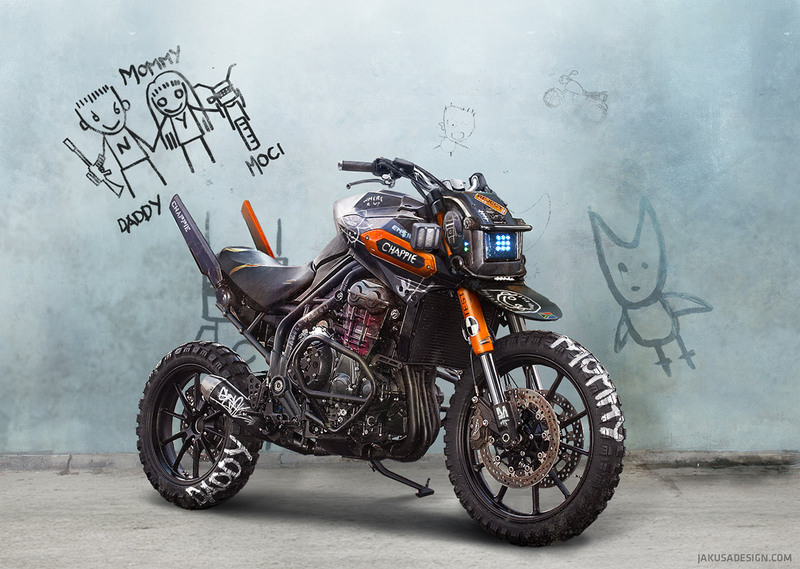 The Triumph-based bike features a CHAPPiE headlight, and his familiar antennae protrude from the back seat as a sort of tailfins. Naturally, the color scheme is spot-on, and the rugged looks are perfect for Neill Blomkamp’s dystopian world. The childlike Mommy and Daddy graffiti on the wheels is a nice touch too. Though I think the bike needs a gold “$” chain hanging from it somewhere. 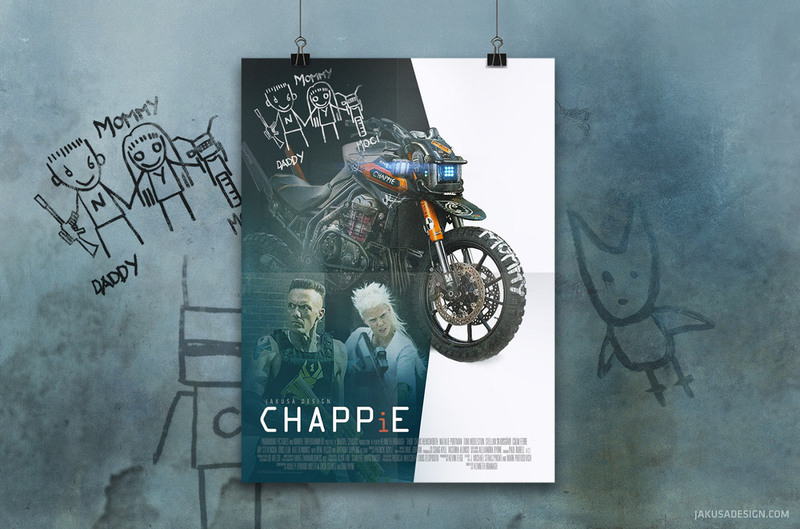 I’m betting CHAPPiE could have easily outrun Hugh Jackman and his mech on this thing.